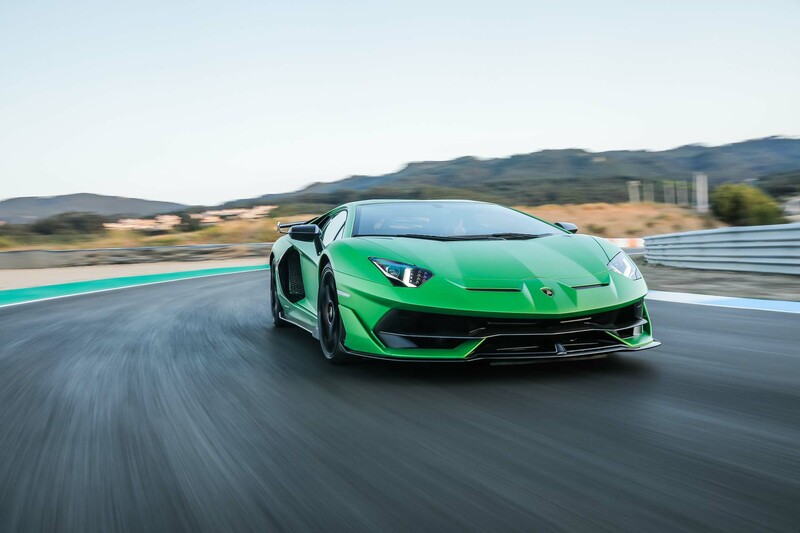 The new generation of the iconic V12 Lamborghini flagship, limited to 900 units. 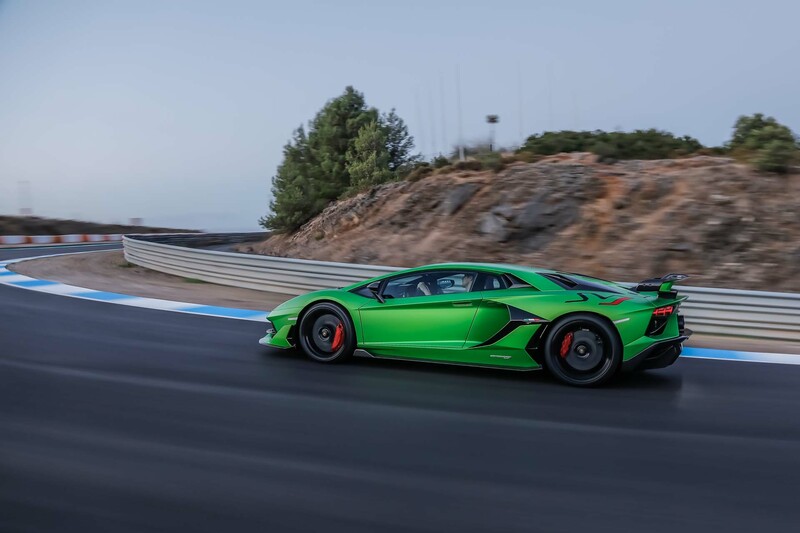 Nürburgring-Nordschleife lap record for production cars: 6:44.97 minutes. 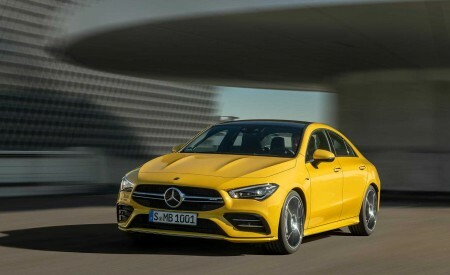 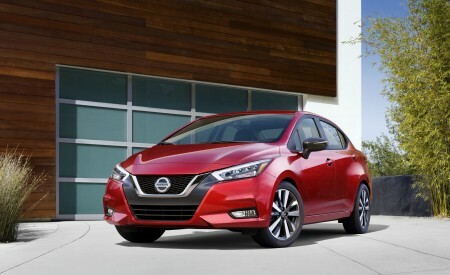 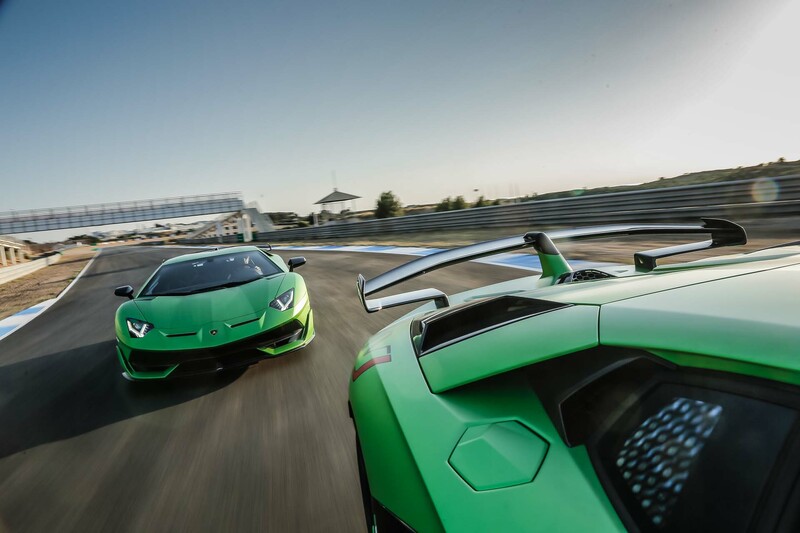 New design features focused on aerodynamic performance. 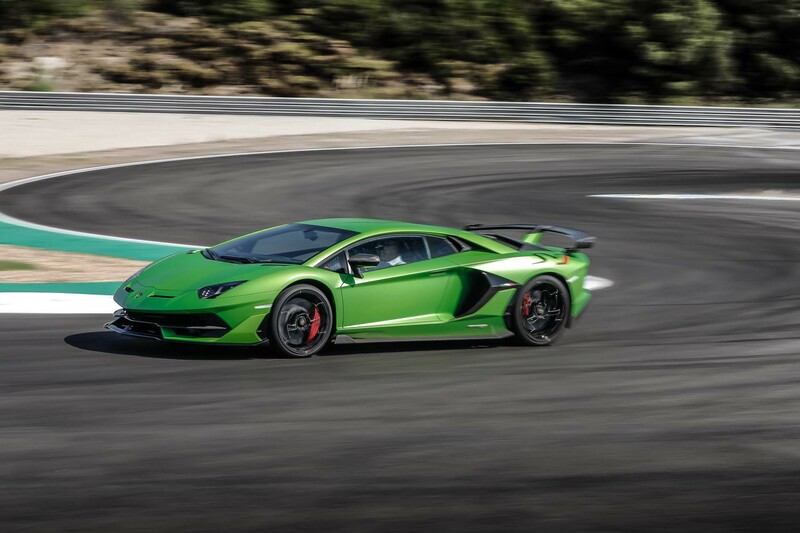 Naturally-aspirated V12 engine, 770 hp, four-wheel drive and four-wheel steering for technical supremacy. 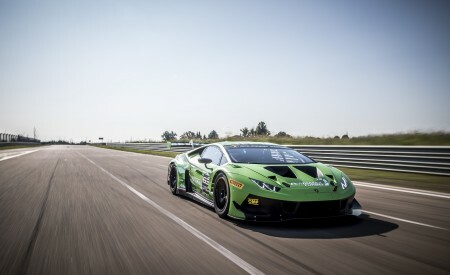 Lightweight materials, racing solutions and ALA 2.0 for best handling performance. 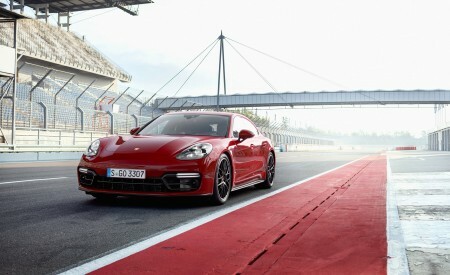 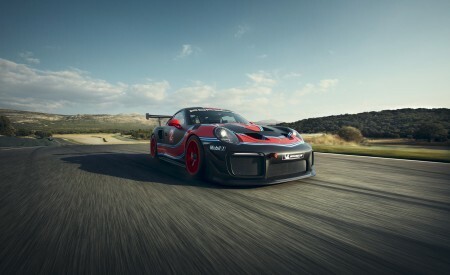 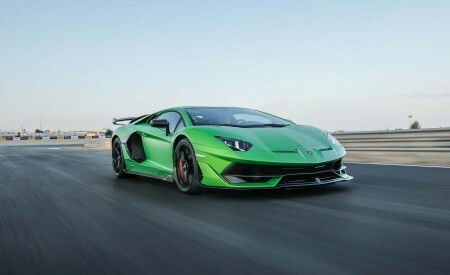 0-100km/h in 2.8 seconds, top speed over 350 km/h. 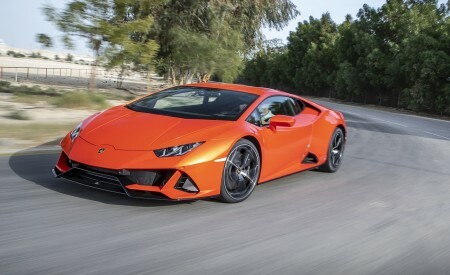 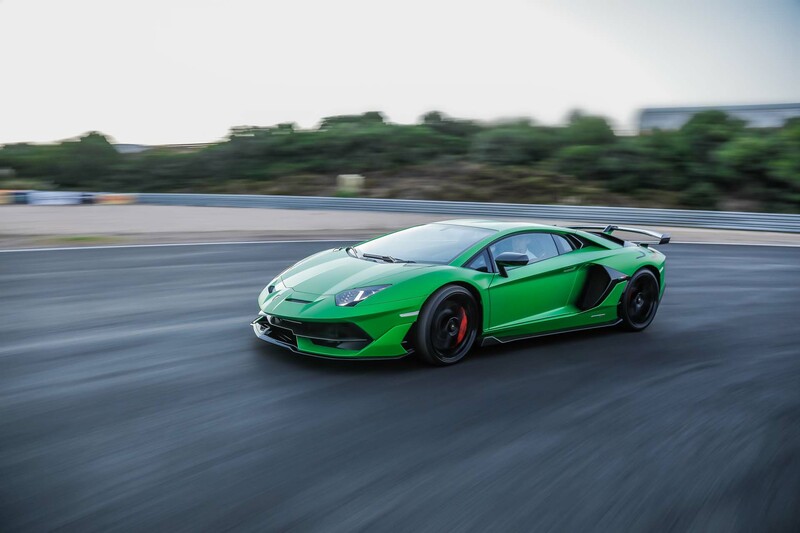 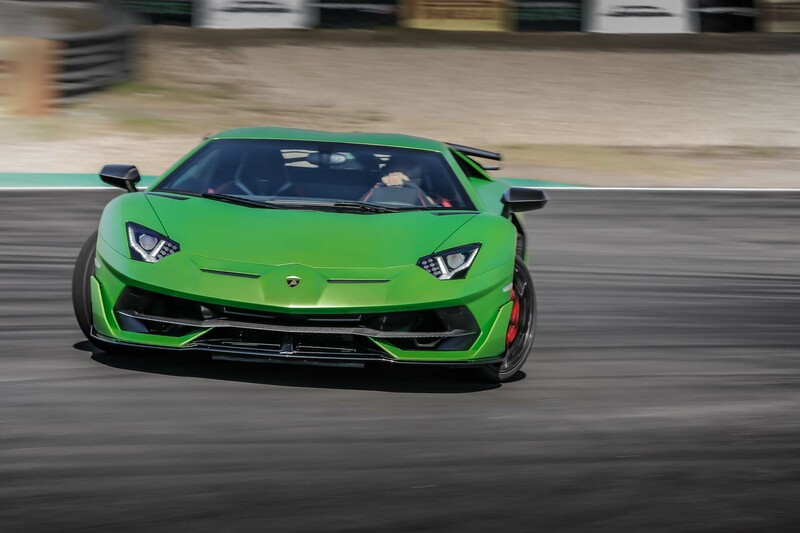 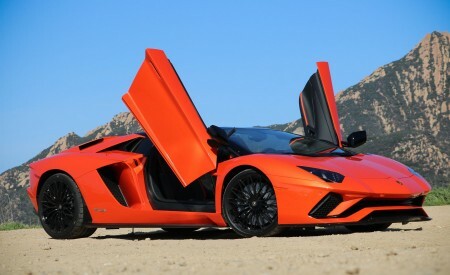 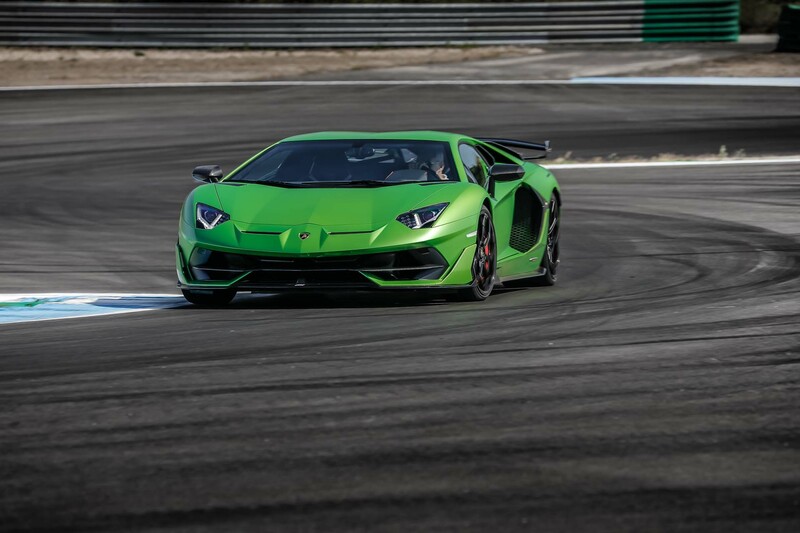 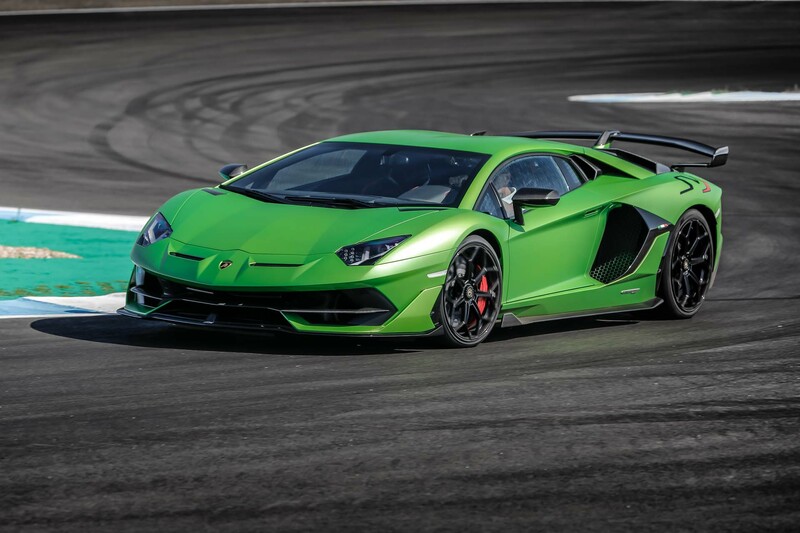 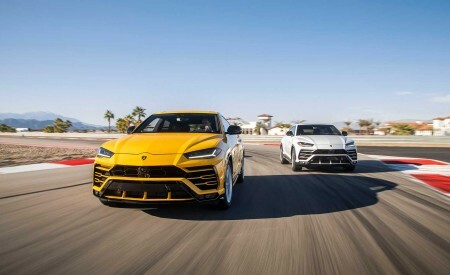 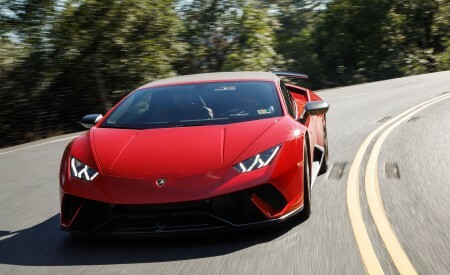 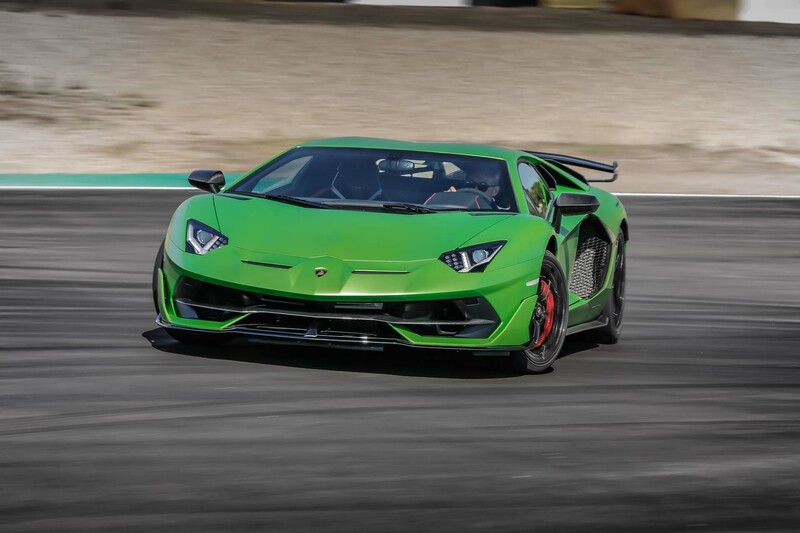 Automobili Lamborghini unveils the Lamborghini Aventador SVJ in a worldwide premiere during Monterey Car Week in California at “The Quail, A Motorsports Gathering”. 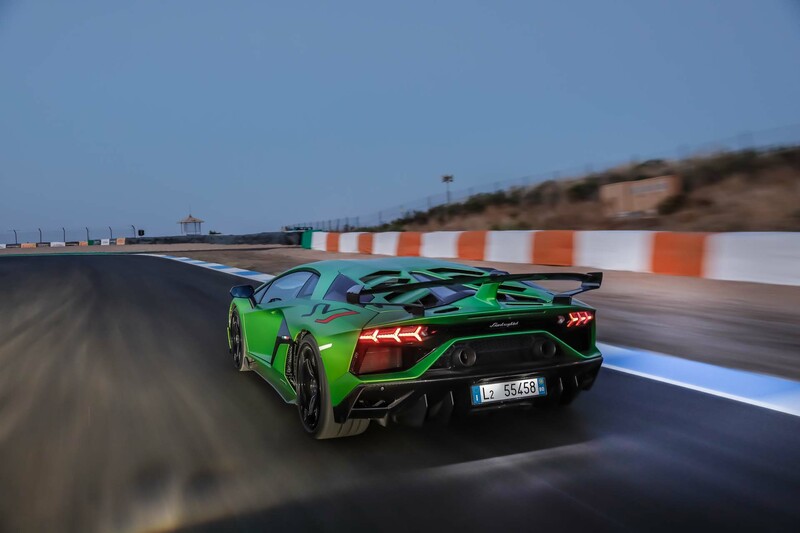 The distillation of extraordinary design, groundbreaking technologies and the ultimate in handling, performance and driver enjoyment, the Aventador SVJ creates pure driving perfection, taking the concept of a super sports car to a new dimension. 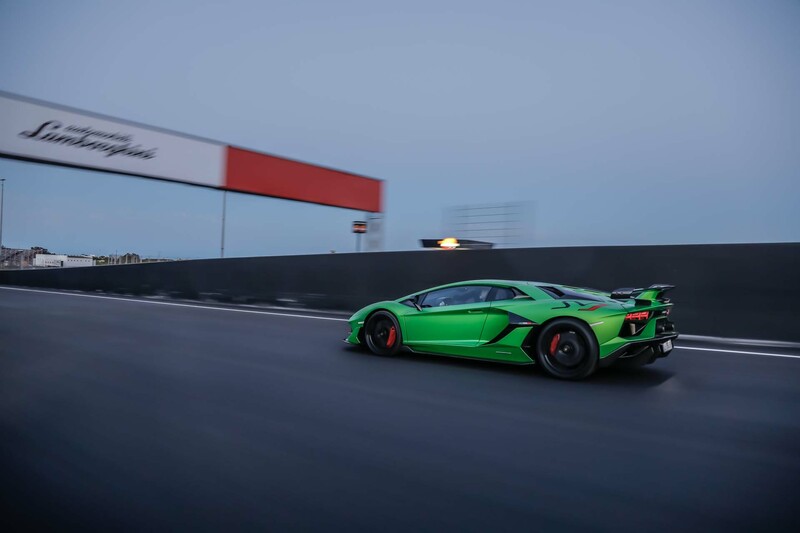 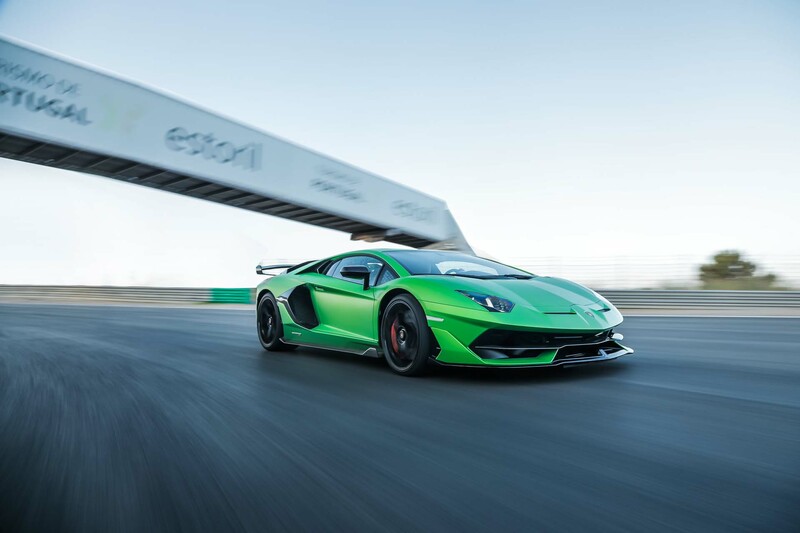 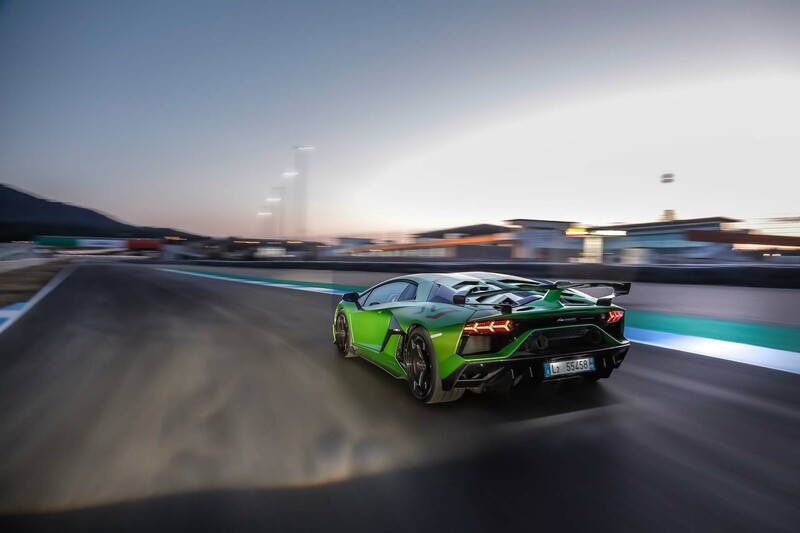 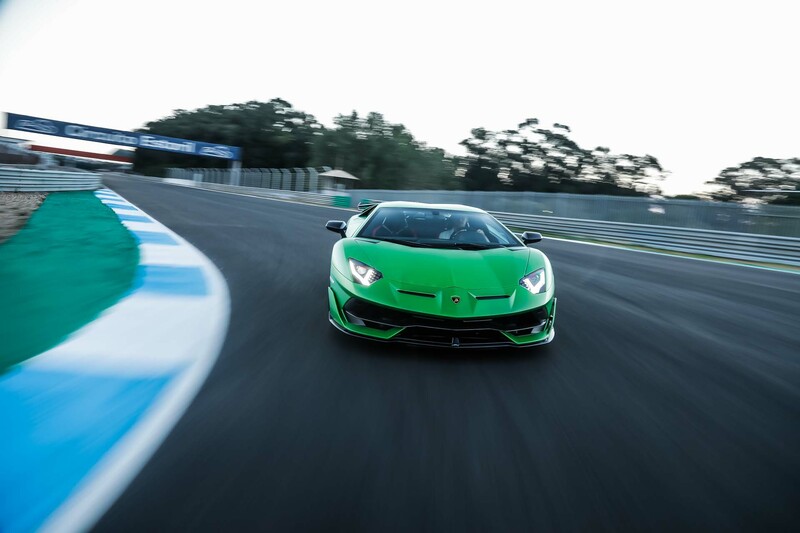 - meaning ‘superfast’ – takes the ‘Jota’ suffix, denoting its track and performance superiority: the Aventador SVJ has already claimed its position as the Nürburgring-Nordschleife production car record holder, completing the 20.6 km lap in just 6:44.97 minutes. 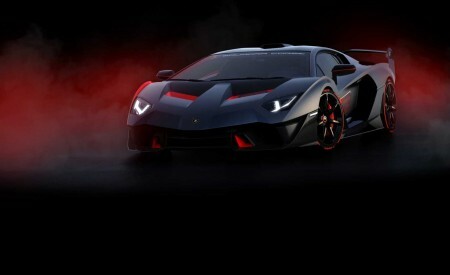 Production is limited to 900 units.